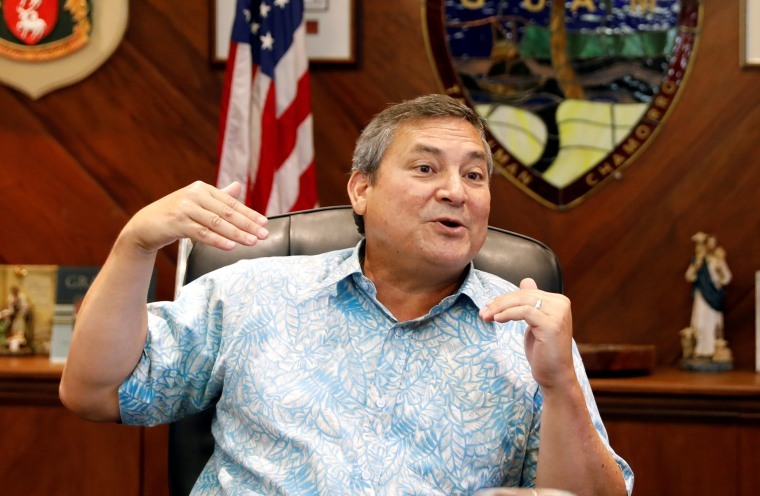 "This isn’t the first time that we’ve had threats lobbed against our island, but this time, knowing that we have a president and a White House and a military that is watching out for us gives me a great deal of comfort," Guam Gov. Eddie Baza Calvo said in a video message posted to Facebook Saturday afternoon local time. North Korea threatened to fire missiles near Guam amid a war of words between the isolated regime and U.S. President Donald Trump over North Korea’s recent intercontinental ballistic missile tests, which experts say suggest that a missile could reach the West Coast of the United States and a number of major U.S. cities. Trump this week said North Korea "will be met with fire, fury and frankly power the likes of which this world has never seen before" if it threatens the United States.